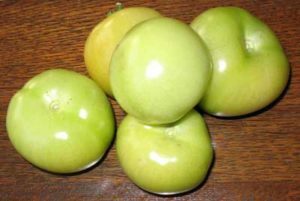 This Green tomato chutney recipe is a great combination of apples, shallots and green tomatoes. It is cheap & easy to make if you grow your own apples, shallots and green tomatoes. It is also a way of using up the damaged, pecked or wind blown apples. 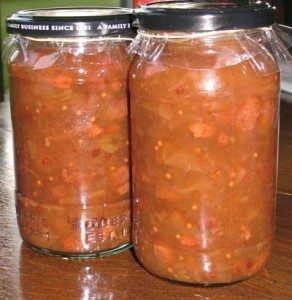 This Green tomato chutney recipe stores well and makes a good present.